The Syrian government has "sighed with relief" after the victory of Donald Trump and welcomes his election promises on Syria, as well on the struggle against terrorism, particularly against Daesh, George Jabbur, adviser to former Syrian President Hafez Assad, told Sputnik on Friday. MOSCOW (Sputnik) — At the final presidential debate with Democratic nominee Hilary Clinton on October 19, Trump said that his priority in Syria would be to eliminate Daesh and not to remove Syrian President Bashar Assad from power. "Syria has responded positively on Trump's statements and the government has breathed a sigh of relief, because Damascus agrees with his plans on anti-terrorism struggle. Everything Trump should do is to cooperate with governments of Moscow and Damascus in struggle against Daesh," Jabbur said. Jabbur added that the most promising Trump's statement was that Assad was not the main threat and the United States would fight mostly against Daesh. On Tuesday, Trump secured at least 290 Electoral College votes, which is more than 270 required to win the presidency. The so-called Arab Spring protests in Syria that took place in 2011 resulted in clashes between the government forces and opposition. 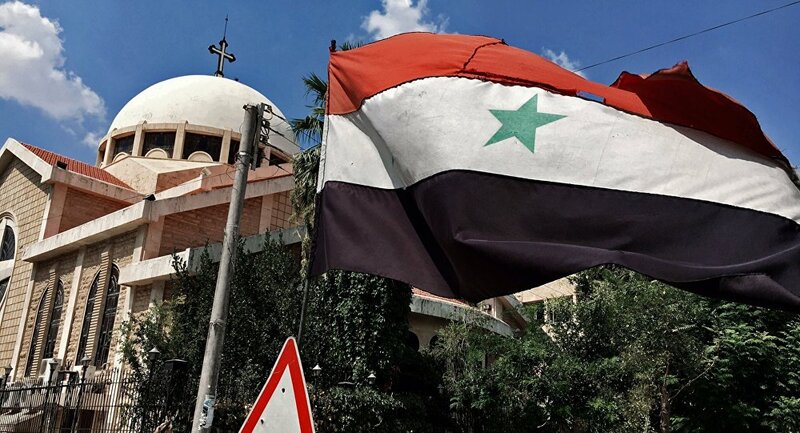 Since then, the Middle Eastern country has been mired in a war between authorities in Damascus, numerous opposition factions, as well as terrorist groups, including Daesh, which is outlawed in the United States and Russia among others.